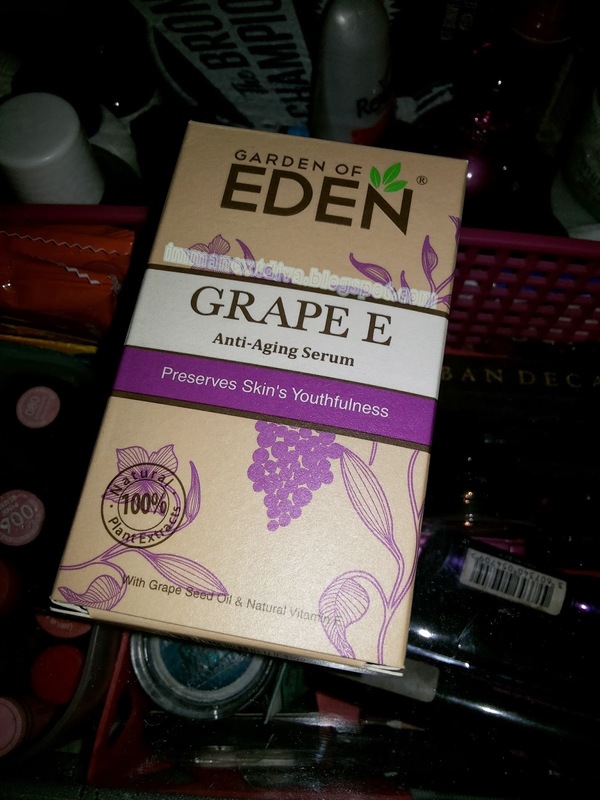 Today I want to do a review of my first serum which is Grape E Anti-Aging Serum by Garden of Eden. Lets talk about the packaging first. I love the packaging box. It looks simple and and very much like nature-friendly box. Well the color of course reminds me of yummy grapes. At the back of of the box has the description of this product. 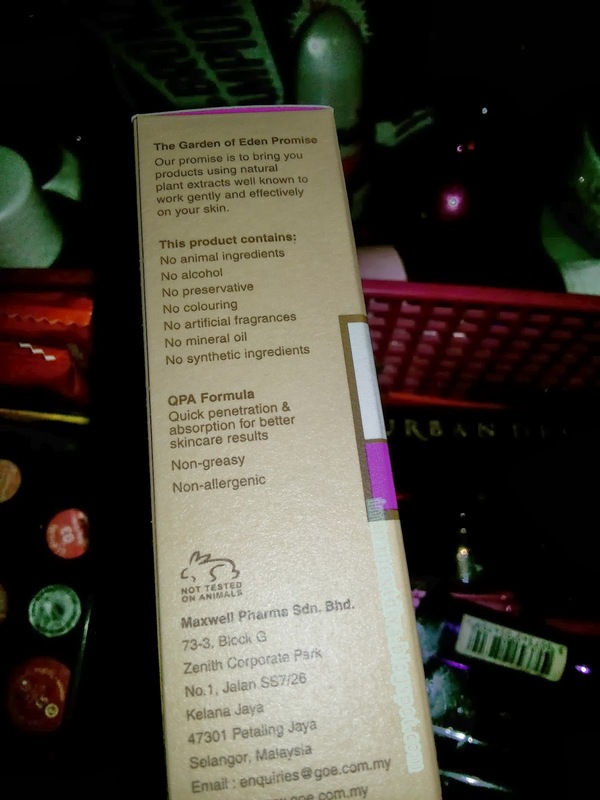 What I love about this product is that it clearly stated all of the ingredients that some of us might be concerned of. For me, I always check whether my products are paraben free, alcohol free and so on. So here is the little baby. It comes in this small 5ml bottle that has some sort of lab medicine-dropper applicator. I believe most of the serums in the market have this kind of packaging. 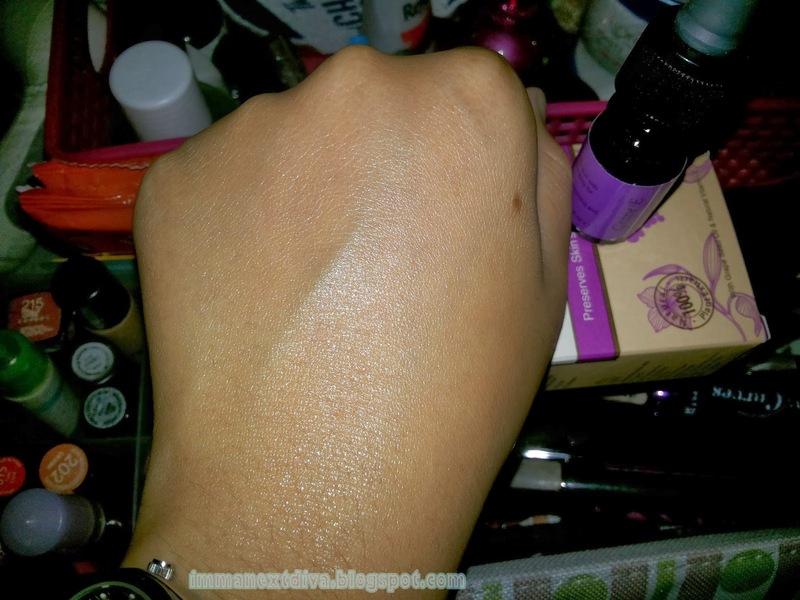 The serum might look a bit yellow-ish in this picture but when you apply it to your skin, it looks just fine. 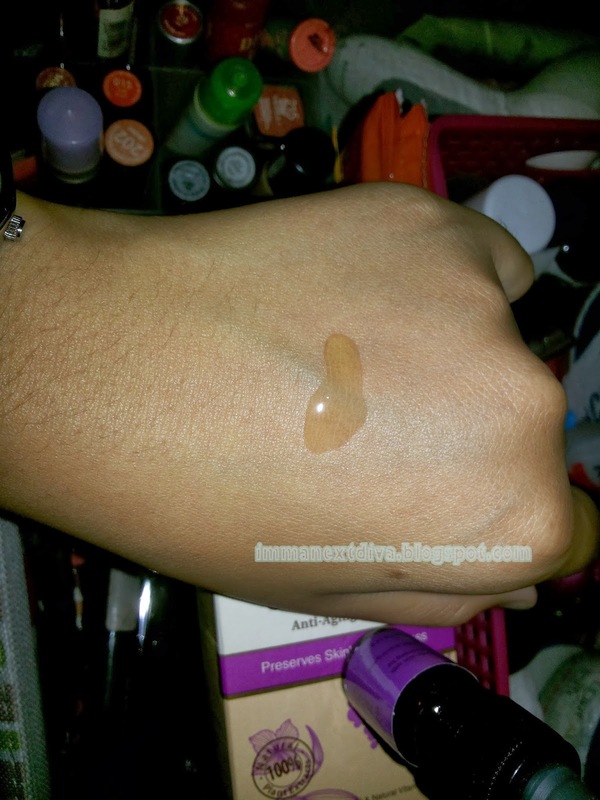 The formulation is thick like other serums, but the different is that it absorb into my skin just like a dream. After applied it, I noticed it feel a bit sticky on my face but that does not bother me at all. 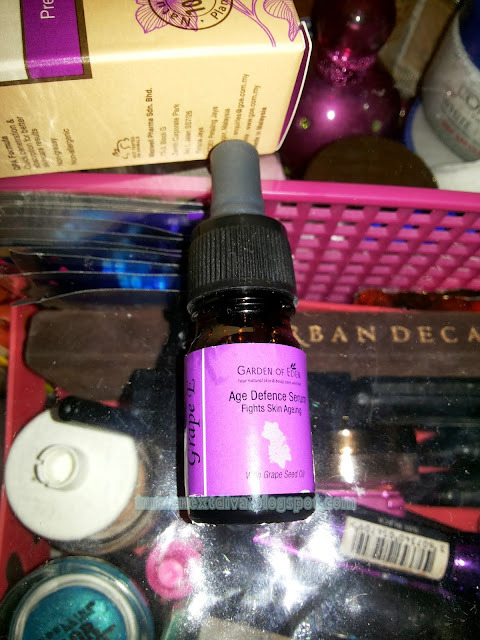 I normally put a drop or so in my face and apply it section by section on face just to give the maximum penetration of the serum to my skin. 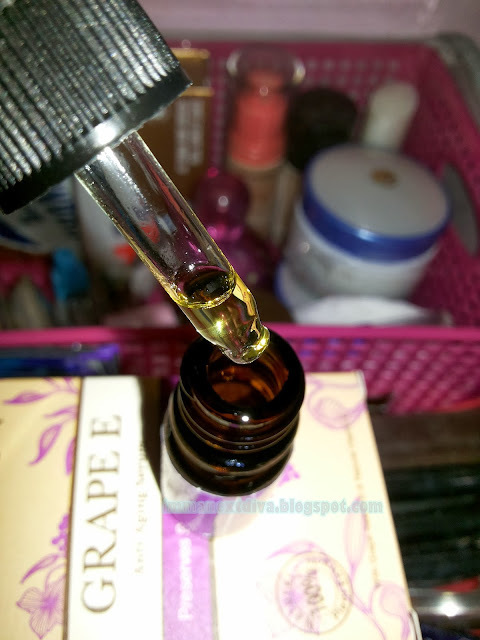 Usually, I apply this serum in the morning (normally, when I am not wearing makeup or kind of my my-skin-need-to-breathe kind of day) and in the night time before I go to sleep because these are the best times for my skin to recover. Blend away!! Look how glowy my skin looks like. 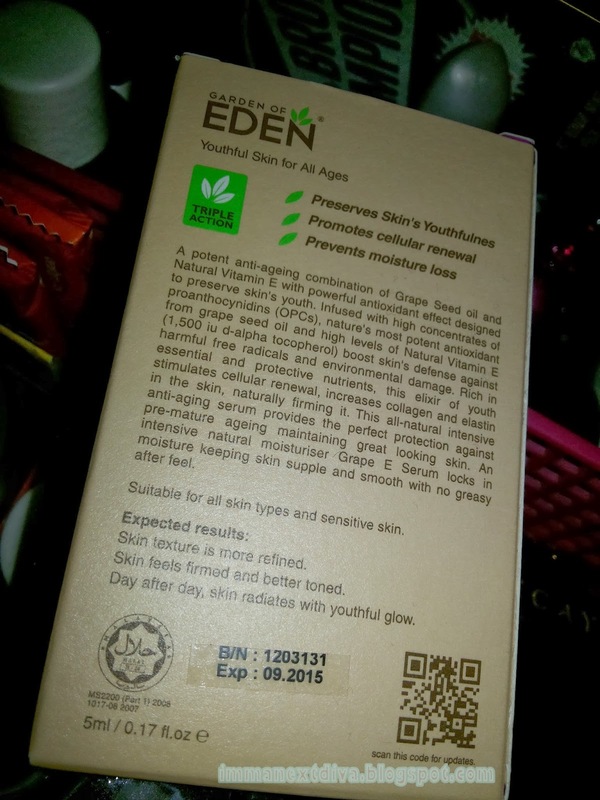 Overall: This product is good for all skin types. My sensitive skin definitely approved this. (Start you shopping experience with HiShop by click the banner above) Have you guys try any serums before?